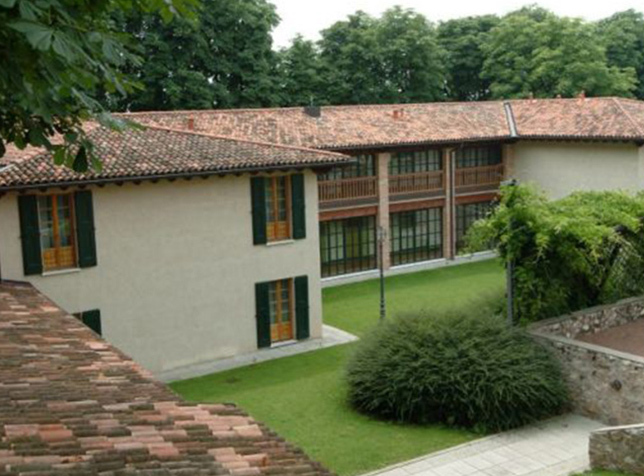 PM serramenti pays particular attention to the formal values of architectural-environmental heritage. In work sites concerning historical buildings, it respects all the existing types of windows and doors, also consolidating, restoring, or reproducing them, thanks to its artisans’ skills and craftsmanship, specialized in traditional manufactured work. 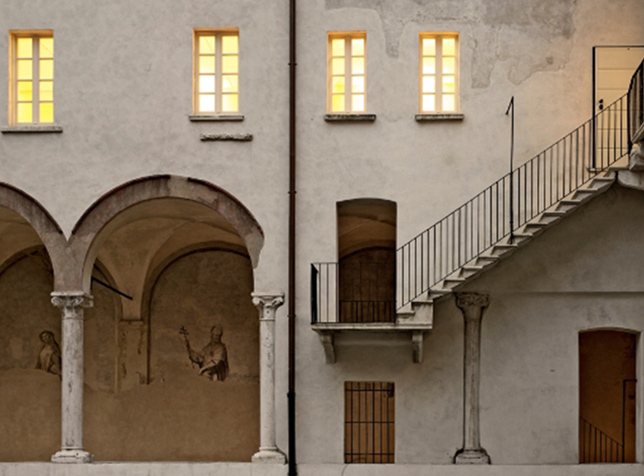 PM serramenti is associated with ASSORESTAURO, the Italian Association for Architectural, Artistic, and Urban Restoration. Assorestauro is the first association in Italy among producers of materials, equipment and technologies, as well as among specialized providers and companies. 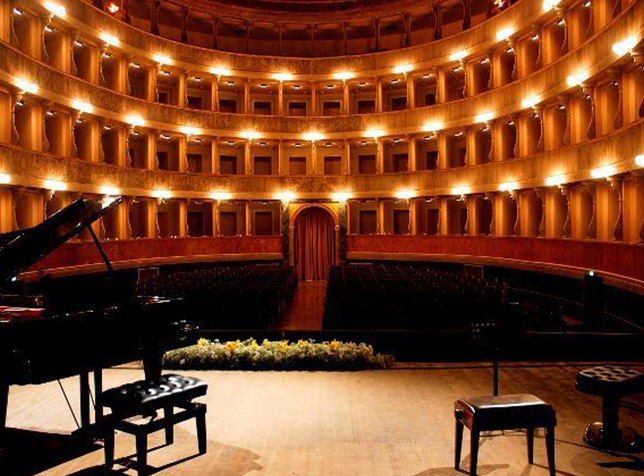 It was born to represent the department of restoration and conservation of Italian heritage of materials, on national and international basis. This association is an outstanding reference on national and international level, for peopole and companies that wish to approach the world of conservation of real estate heritage, with positive repercussions on tourism sector, industry, and bio/construction sector. PM serramenti operates in the sector of restructuring and restoration on various levels, starting with the simple recovery of vintage wooden artifacts. PM serramenti is aware that every restored artifact has notable success regarding historical refurbishment, in which the company is fully involved from the intial designing phase, alongside the Work Direction, up until the final execution. The intervention was aimed towards the restructuring and consolidation of all the frameworks, in particular stages, railings, and portals; construction of new frames, entrances and doors, according to a faithful reproduction of existing ones. University/library building. Complete restructuring of the entire building. 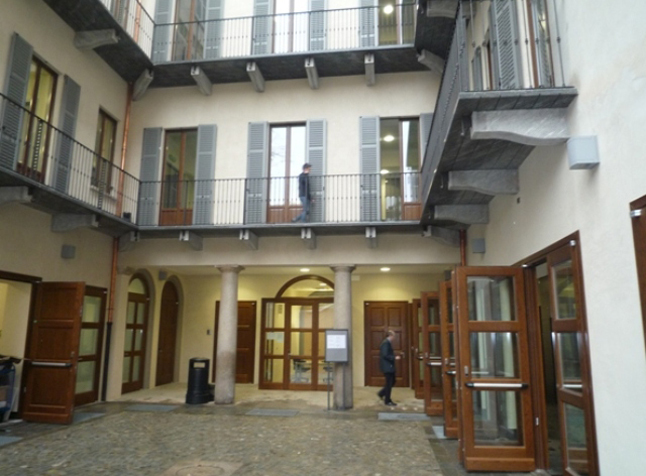 PM serramenti handled the designing and realization of the frames and entrances, perfectly integrating them into the historical style of the building. Substitution of frames with new types of wood, color or forms that faithfully reproduced the existing ones. Complete restructuring of all the buildings, with the construction of a new hotel structure. 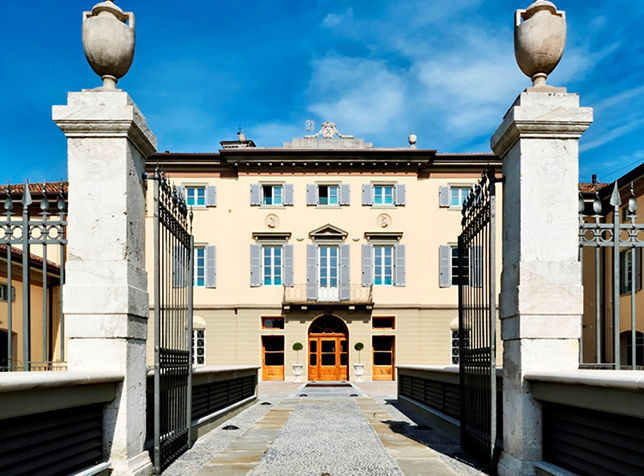 PM serramenti handled the designing and realization of the frames and entrances, according to a faithful reproduction of existing ones prior to the restoration; furthermore, all the original doors and gates were completely restored. Complete restructuring of the historical residential building. PM serramenti handled the restoration of the prestigious vintage doors of the common areas, re-proposing them with an astonishing renovated aspect; it also realized new frames, ensuring that all of them fitted the historicity of the complex, from an esthetical and harmonical poin of view.